- When finished entering your credit card data, you will get the 4 digit verification code from PayPal, which will be sent into the monthly statement or your credit card statement online (usually within 1-3 business days), your credit card will be charged $ 1.95 USD for this purpose. The purpose of sending this PayPal verification code is to ensure that the address you provide is correct (not a fictional address). - If you have a 4 digit security code from the monthly statement or your credit card statement online later, login with your PayPal account, then posted on the My Account / My Account click Confirm / confirm to enter the 4 digit security code from PayPal, after you enter a 4 digit security code your PayPal account will be verified / Verified and will add $ 1.95 USD into your PayPal account automatically then, be calculated for free. If you do not have a credit card can be replaced with VCC. For those of you who recently joined might be wondering what it is VCC? 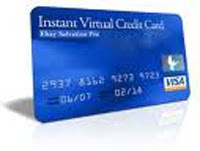 VCC stands for Virtual Credit Card which serves to PayPal verified and have no physical form. VCC main purpose is to protect a major credit card so that when conducting online transactions, credit card owner does not provide the actual credit card information. This is done to protect the credit card of the things that are not desired or misuse of credit cards. Is it safe to use VCC for PayPal Verification? 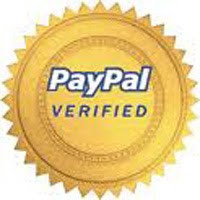 Verify PayPal with VCC is a quick and easy process. You can use the VCC with the same name and address with the name and address that you used on your PayPal account. The verification process is also faster at less than 1 × 24 hours even in a matter of minutes compared to PayPal's verification process by using a credit card which takes 3-4 business days. 1. You can have a PayPal account is "verified" without having a credit card. 3. PayPal is a quick verification process. 4. You can use VCC to the name and address in accordance with the PayPal account. 1. You can send money in unlimited amounts if your status is verified, but the transfer of your funds will be limited if the status is still not verified. 2. You can withdraw PayPal if it has been verified. In other words, you can not withdraw if your account status is still "unverified".